2. Your faith has the power to help you soar in arenas waaaay outside of church. Mine consistently gets me through my kickboxing class like a supernatural champ. Seriously, at my gym, my current nicknames are “Superwoman”, “Phoenix”, and “The Beast”. I’m not sure they even know my real name. Faith makes you fast and furious…and a little bit famous! 3. 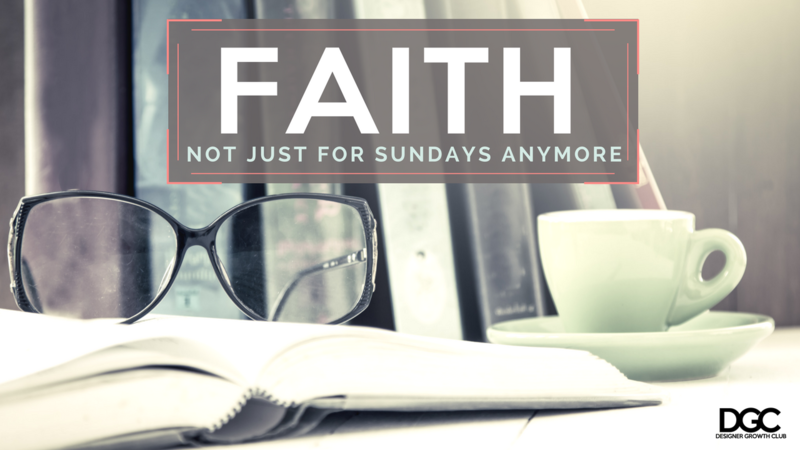 Faith serves as fuel reserves for your most challenging, energy-sapping, frustration-inducing days. I once found myself singing one morning while sweeping that same infuriating spot under the breakfast table that I swear the kids secretly throw food at when I’m not looking. Faith brings joy in the face of mind-numbing monotony. I enjoy nothing more than teaching alternative methods for your truest success, the kind that goes beyond accolades and amount to you feeling like the woman you want to be so you can do the things you need to do every day. To DGC Charter Members, one of the first things I’ll be teaching once we get under way in October is how to infuse faith to see overflow in your outcomes. Make sure you’re poised to take advantage of all that Charter Membership has to offer once doors open in just a few weeks. In the meantime…keep the faith, literally.